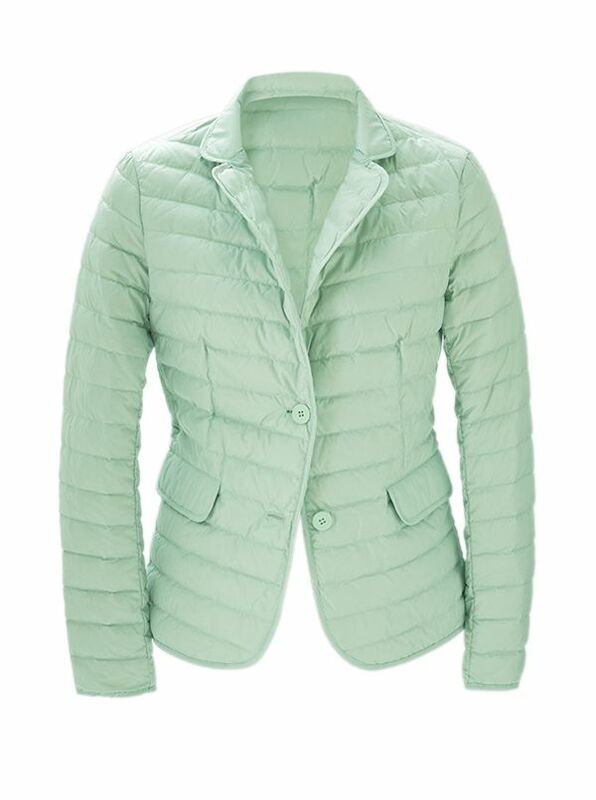 Quilted Nylon Blazer in a soft pastel mint perfect for spring about town jacket. With button-front two pockets long sleeves. Imported.